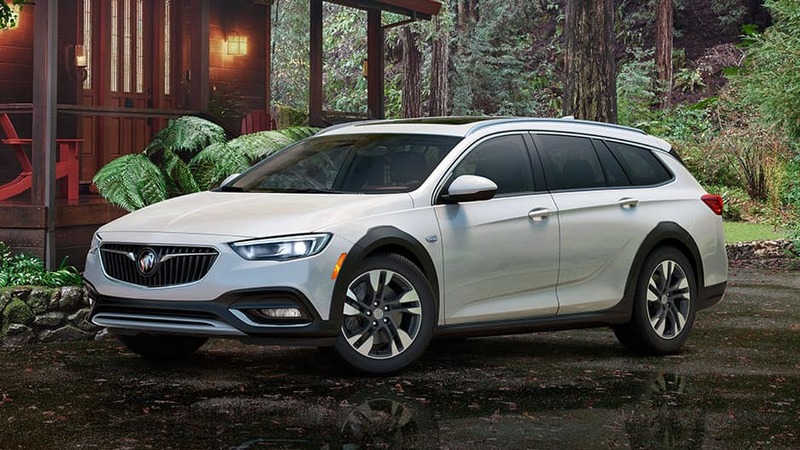 Introducing the first-ever Buick Regal TourX, the luxury wagon designed with explorations in mind. 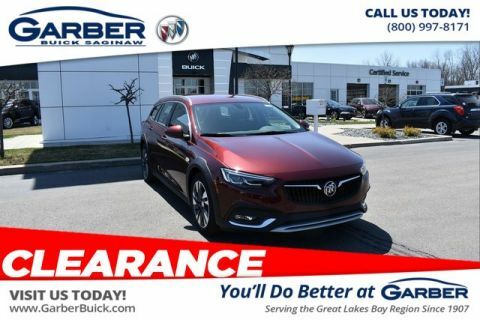 Get ready to be the center of attention everywhere you go in the first-ever Buick Regal TourX, the stylish luxury wagon that was designed with adventures in mind. 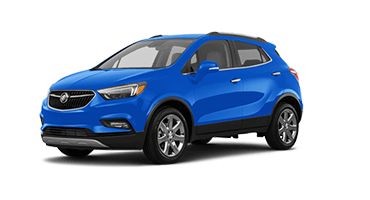 Comprised of sleek lines and alluring contours, the new TourX captures your attention and holds it for a long time. Factor in signature LED headlights as well as an iconic waterfall grille, and you’ll have all eyes on you anywhere you go. Whether you’re commuting to Midland, camping in the Thumb, or meeting friends in Bay City, the new TourX is a showstopper. No matter how far you travel, you’ll be surrounded in luxurious comfort the entire time. Featuring premium materials such as appointed leather and chrome trim, the Regal TourX feels just as rich on the inside as it looks on the outside. 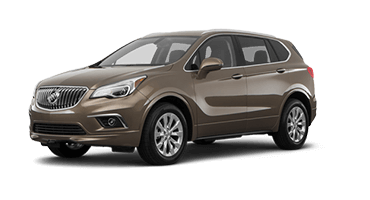 This innovative wagon also ensures that you’ll be entertained on any drive courtesy of the Buick Infotainment System, so you can sync your mobile device and stream your favorite tunes on the go. 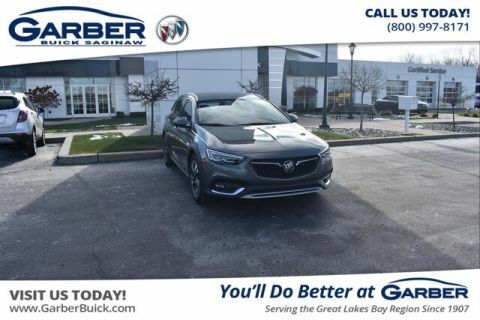 All this and more is waiting for you in the first-ever Buick Regal TourX, available for a test drive today at Garber Buick in Saginaw. Who said luxury couldn’t follow you into the great outdoors? With the first-ever Buick Regal TourX, you’ll travel everywhere in style. Offering a unique, wagon style body, versatile roof rails, and signature LED headlights, the TourX looks at home both on and off the beaten path. When you roll up in the all-new Buick Regal TourX, all eyes will be on you. The TourX’s wagon-inspired design draws the eye along its sweeping body curves and bold lines, taking in the unique façade. Buick’s signature waterfall grille heralds your arrival, guaranteeing you’ll be the center of attention. Bring more along for the ride with the new Buick Regal TourX, which features standard aluminum roof rails and available cargo cross bars, making it easy to bring bikes, kayaks, and other gear with you. Load and go with the Regal TourX’s convenient hands-free power liftgate. Merely kick your foot under the rear bumper and the liftgate raises up, perfect for when your hands are full. 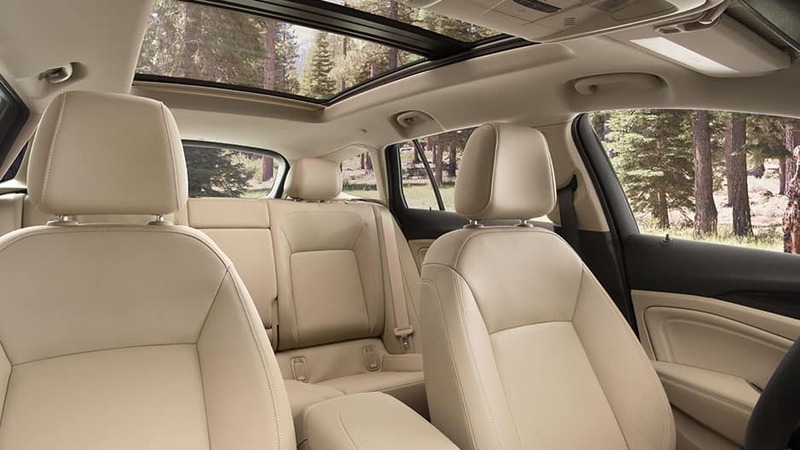 The new Regal TourX makes it easy to enjoy the great outdoors, courtesy of its panoramic power moonroof. Your passengers can enjoy an aerial view, or press a button to allow fresh air into the TourX’s cabin. Enjoy enhanced visibility in the new TourX with signature LED headlights, which cast bright light further down the road than traditional bulbs. Whether you’re cruising through the city or exploring the backroads, you’ll clearly see the path ahead. 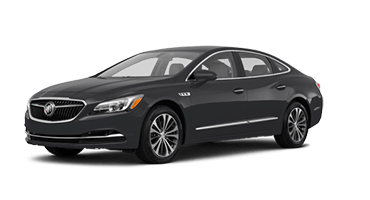 Travel anywhere in style with the first-ever Buick Regal TourX, designed to feel like your home away from home with premium amenities and thoughtful details, such as QuietTuning™ technology and Dual-Zone Climate Control. Whatever the destination, you’re sure to enjoy the ride. 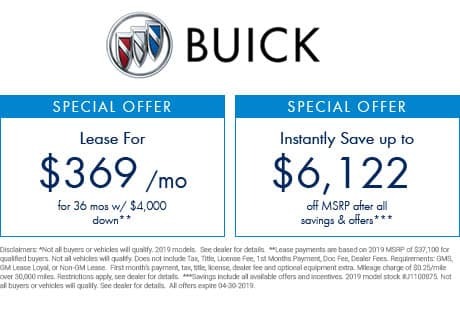 The all-new Buick Regal TourX offers more cargo capacity than you would expect – up to 73.5 cubic feet when the 60/40 split-fold rear seats are dropped down. Load up your camping gear and hit the road. However long your journey, you’ll feel comfortable and relaxed surrounded by the Regal TourX’s premium materials. Featuring a sculpted dash, chrome trim, and available leather-appointed seating, this stylish wagon is every bit as luxurious as its predecessors. Thanks to QuietTuning technology, it’s easy to enjoy a conversation or simply bask in silence with the new Buick Regal TourX. Utilizing triple door sealing, acoustic laminated windshield and front side glass, as well as specific suspension tuning, the TourX keeps outside noises out, so you can enjoy your drive without distraction. Interior cabin temperature is never up for debate in the Regal TourX, which comes equipped with dual-zone climate control. With this system, you and your passenger can set individual temperatures for your own areas, so everyone can travel happy. Keep your hands exactly where they belong while still being able to control media volume, answer calls, and set cruise control, courtesy of the Regal TourX’s steering wheel mounted controls. 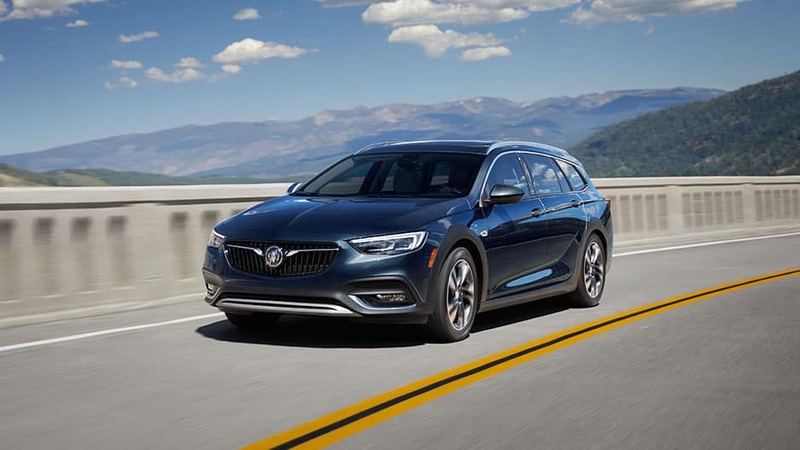 Stay connected on the road with the all-new Buick Regal TourX, which features the latest in advanced technology innovations. Boasting a built-in 4G LTE Wi-Fi® hotspot, Bose® Premium Audio, and Wireless Charging, you’ll be ready for any adventure. Just because you’re out having fun, doesn’t mean you have to be out of the loop. 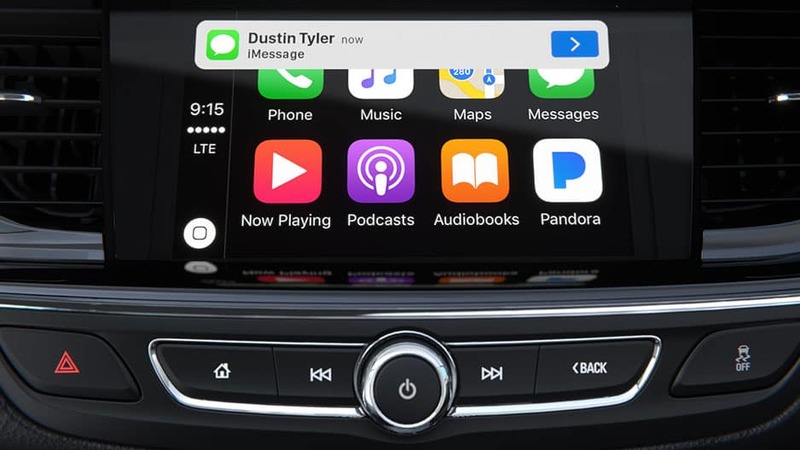 The new Regal TourX offers available 4G LTE Wi-Fi connectivity for up to seven devices, so you can stay in the know wherever you go. 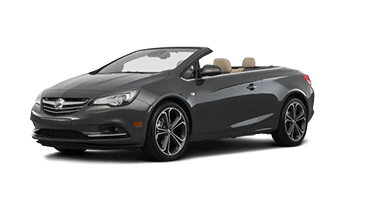 Sync your mobile device to the innovative Buick Infotainment System and easily play your favorite music, make hands-free calls, and navigate maps right from the conveniently placed touchscreen. The Buick Regal TourX settles for nothing less than the best when it comes to the soundtrack of your adventures. Boasting Bose Premium Audio system, you’ll be surrounded in crisp, crystal-clear audio no matter where you’re sitting in the new TourX. Declutter your driving space by removing charging cords from the equation. With the Regal TourX’s available wireless charging, you’ll be recharged in no time by simply placing your compatible device inside the slot within the center console. Download the myBuick app on to your mobile device and you’ll be able to perform a number of key functions right from the palm of your hand. Remote start your engine, check your tire pressure, and look up real-time diagnostics with just a few taps on your phone. 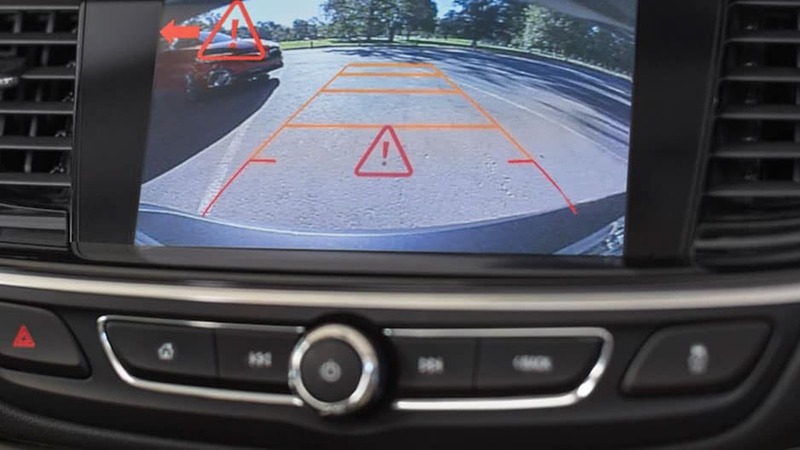 The first-ever Buick Regal TourX is equipped with a plethora of safety features to help you detect and prevent potential collisions. With advanced safety technologies such as Forward Collison Alert and Lane Departure Warning at your disposal, you can feel confident knowing this innovative wagon is keeping an eye out for you. Using radar technology, Forward Collision Alert in the new Regal TourX closely monitors the vehicle ahead of you, and will alert you if it detects a front-end collision is imminent. The system will also alert you if you’re following the detected vehicle too closely. Working in tandem with the Rear Vision Camera, this system scans the area behind the TourX while reversing, and will notify you with visual as well as audible warnings if it detects an approaching vehicle within 65 feet on either side. With this system, the TourX is capable of detecting when you’re unintentionally drifting out of your lane without signaling, and will help you get back on track with gentle steering wheel turns. This available system utilizes radar to monitor your blind spots, and will warn you with an amber icon on the side-view mirrors if a vehicle enters your blind zone. If the turn signal is activated while a vehicle is detected, the amber icon will flash in the direction of the detected vehicle to alert you and prevent an accidental collision. 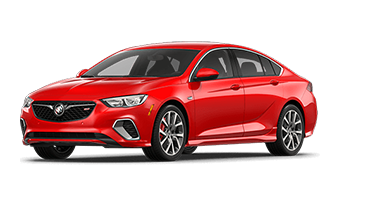 While the new Regal TourX does everything it can to detect and prevent accidents, sometimes the unthinkable still occurs. Give yourself peace of mind with OnStar Automatic Crash Response, which connects you with an OnStar agent within moments of a detected collision to ensure you’re safe, and will notify emergency services if you’re unresponsive. Rain or shine, the first-ever Buick Regal TourX is prepared for whatever gets thrown its way. Boasting Intelligent All-Wheel Drive and a Turbocharged engine, the TourX offers tight handling as well as impressive power while you’re out exploring on the open road. Standard on the all-new Regal TourX, Intelligent All-Wheel Drive closely monitors the traction of all four tires, and automatically activates when it senses you need tighter control. Whether you’re on a slippery road or taking a tight corner, you’ll feel confident knowing the TourX can handle it. This stylish wagon has some real power hiding under its hood. Boasting a 2.0L Turbo Engine that kicks out 250 horsepower and 295 lb-ft of torque, the Regal TourX strikes the perfect balance between power and fuel efficiency. Enjoy smooth performance in the Regal TourX, courtesy of its 5-link rear suspension, which holds the road tightly as the pavement twists and turns. 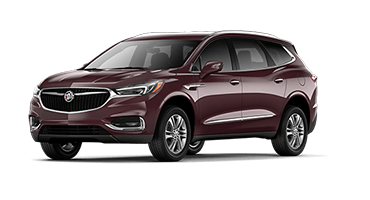 The new Buick Regal TourX features an 8-speed automatic transmission, which provides quick, seamless shifting you don’t have to think about. If you prefer more control, you can shift into manual mode by simply sliding the gear lever to the left side position, allowing you to take command. Featuring state-of-the-art StabiliTrak Electronic Stability Control System, the Regal TourX is ready for even the most difficult of driving conditions, including snow, gravel, and even emergency maneuvers. Treat yourself to a luxury adventure in the first-ever Buick Regal TourX. This innovative wagon was designed to be versatile, featuring up to 73.5 cubic feet of storage capacity when the 60/40 split-fold rear seats are dropped down. If that’s not enough space for you, opt for the available cargo cross bars, which makes it easy to bring bikes, kayaks, or anything else along for the ride. And with all that versatility, the new TourX makes sure to still deliver below the hood. Equipped with a 2.0L Turbocharged engine, this trendsetting innovator offers all the power you crave and the fuel efficiency you want. 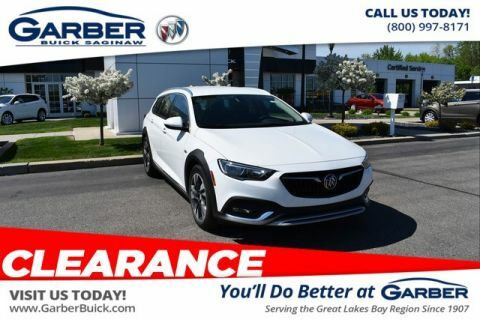 Seeing is believing though, so stop in to Garber Buick in Saginaw today to take the all-new Buick Regal TourX for a test drive.